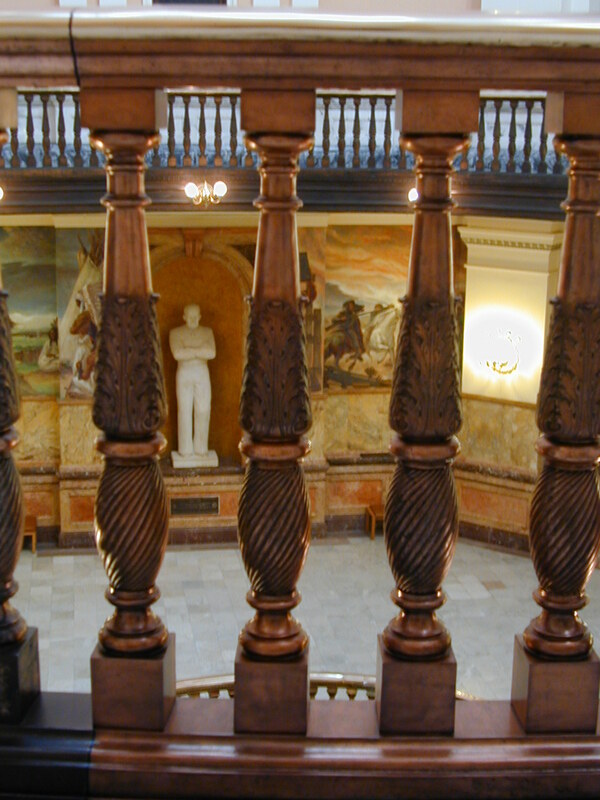 Construction on the Kansas State Capitol began in 1866. 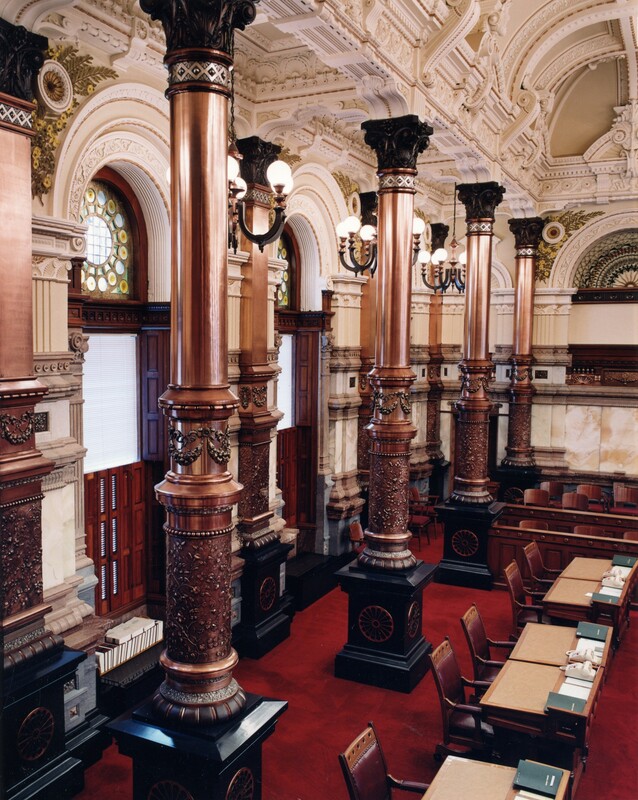 In March 1903, some thirty-seven years later, the building was declared complete. 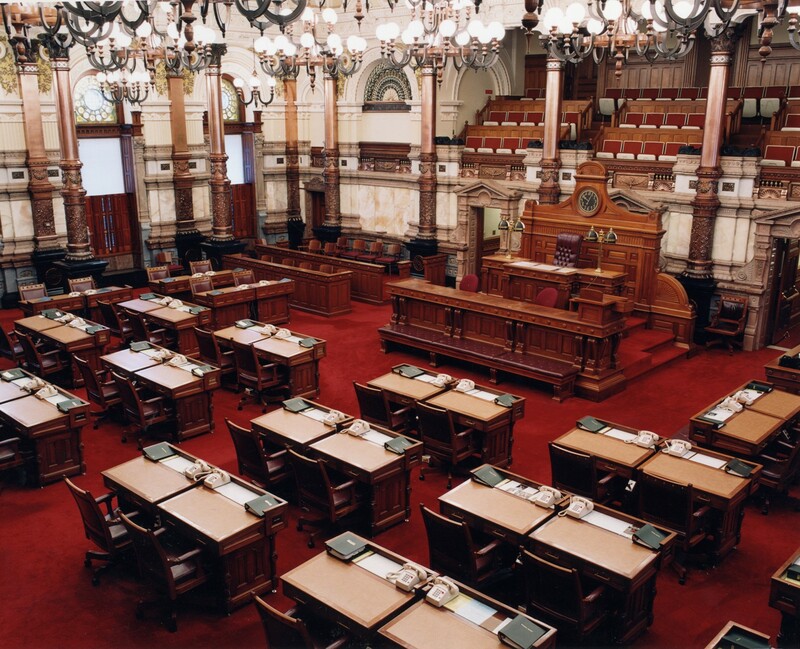 The Senate Chamber is considered a unique work of art, decorated at a cost of $141,000 in 1885. The round windows, featuring faceted stained glass, were imported from France. The walls were decorated using various exotic materials from around the world. We reviewed historic documentation and performed in-situ testing to attempt to determine the original appearance of the metals and the nature and cause of their deterioration. 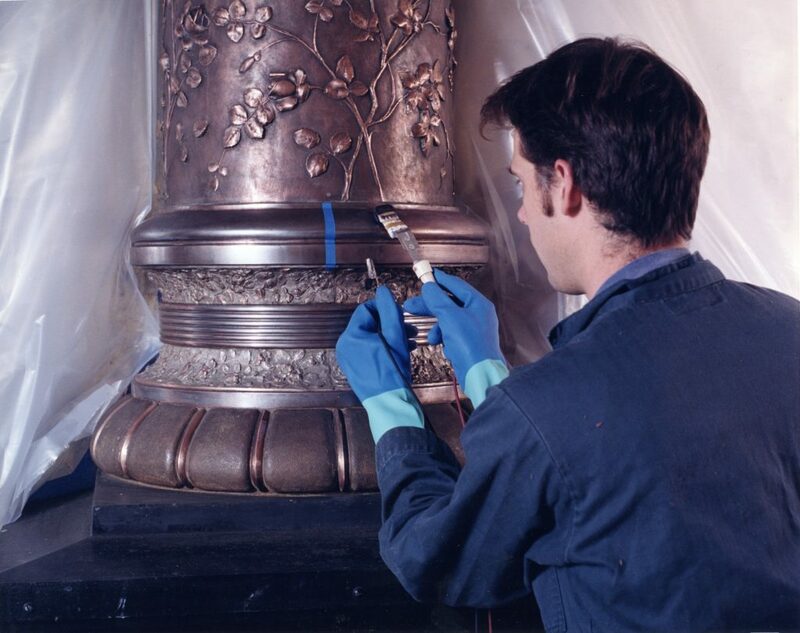 Conservators tested various techniques to safely remove the unwanted corrosion products, sampled a variety of coatings to try and match the original finish, performed selective brush plating tests to repair areas of missing original plating, designed and specified a conservation treatment plan that also included budgetary and time estimates for the project. 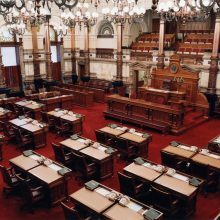 We were awarded the conservation work as a sub to the general contractor for the project. 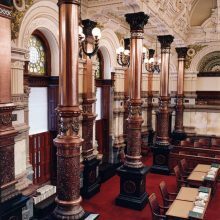 Scaffolding was erected around each of the twenty-eight columns and pilasters, the inlaid plaques, and the decorative balustrade and wall grills so that all surfaces were accessible. 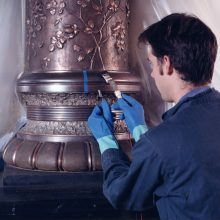 The old protective coatings and copper and silver corrosion products were removed and missing parts were recast and reattached. Large areas of plating loss and new castings were replated in-situ using brush plating technology. 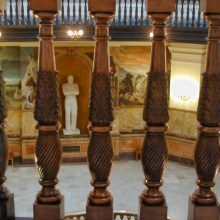 At the completion of the work a conservation treatment report was submitted that included a maintenance plan which provided direction so the state could properly care for the metalwork.